Email readers: This blog post has a virtual reality image. Read the post on the blog to see it. Click Here. I’m getting lots of love on the above photo I posted on Instagram and wanted to share it here on the blog. The portico at the corner of West and Martin is pretty striking and screams industrial. 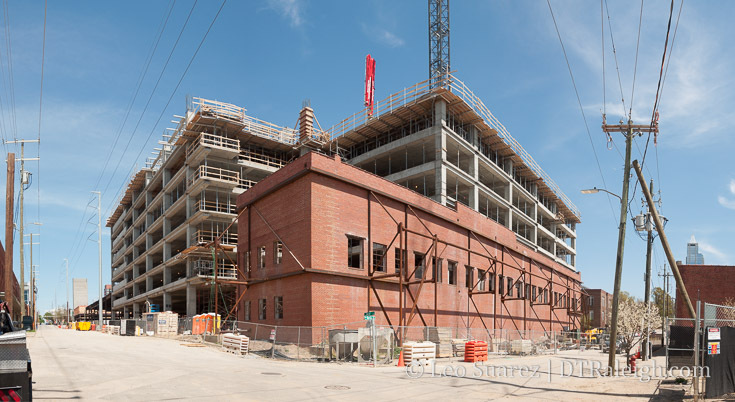 It has a great look and feel, showing off the “guts” of the brick warehouse. It brings it outward for a passerby to enjoy. In addition, I popped a 360 photo of the portico for readers to see also. Enjoy! Looking South down South West Street. January 2018. As a compliment to a 2016 post on North West Street, today I wanted to take a look down South West Street. West Street through downtown is becoming an important corridor and from one end to the other, there are projects taking place that may make it a pretty desirable street in the future. In case you weren’t aware, the directional prefixes for streets running north and south start at Hillsborough Street (west of the Capitol) and New Bern Avenue. (East of the Capitol) Hence, we start our walk at Hillsborough Street. New developments and businesses are great but we always have to give a nod to the old favorites that have been threw a lot. I want to give a quick shout out to The Roast Grill, having been at this spot on 7 South West Street since 1940. The Roast Grill, open since 1940. Will they make it to a hundred years? Time will tell but I certainly am pulling for them. The TBJ has an article (subscription required) that suggests they aren’t selling out. However, the pressure may rise as nearby developments take shape. Heading towards the 100 block of South West brings us to the Morgan Street Food Hall. Food halls are a trend that’s happening around the country and Morgan Street will be our first (first, right?) food hall in recent memory. Plan for them to open this Spring. 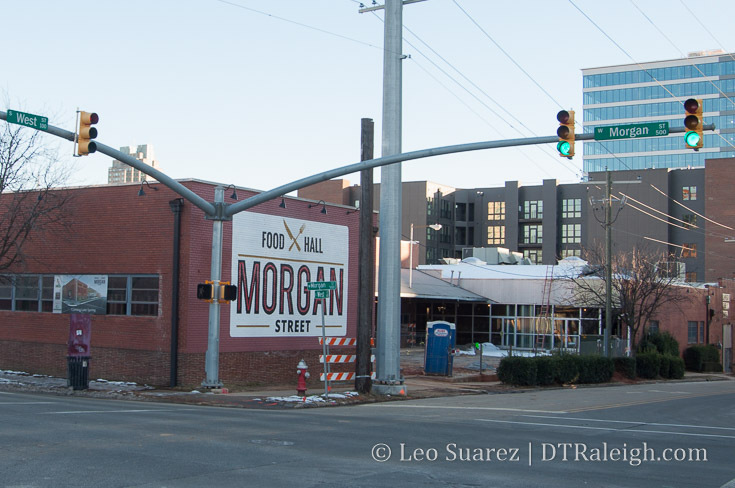 Construction continues on Morgan Street Food Hall. January 2018. Citrix employees should be food connoisseurs after that place opens. And there’s plenty of space for more. The residential units of The Dillon on South down South West Street. January 2018. As you walk by the residential units of The Dillon along the 200 block, there’s a sharp contrast between the life that will soon pop here and the still empty warehouse building on the west side. Plans have seemed to come and go for this huge warehouse. Another Citrix-like rehab could be a decent proposal for this site as it has a large-footprint but hopefully a more mixed-use repurpose can be done. At this time, no plans have been announced. Looking up at the office spaces at The Dillon. January 2018. 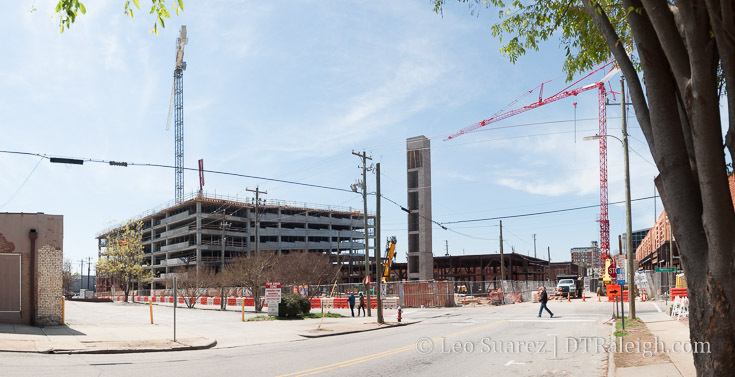 The end of the block approaches the office tower portion of The Dillon and Raleigh Union Station. West and Martin Street will be a cool intersection I think. The Dillon’s 18 floors will draw activity here during the work days and the retail spaces, CAM, and Union Station will fill in the off hours a bit. 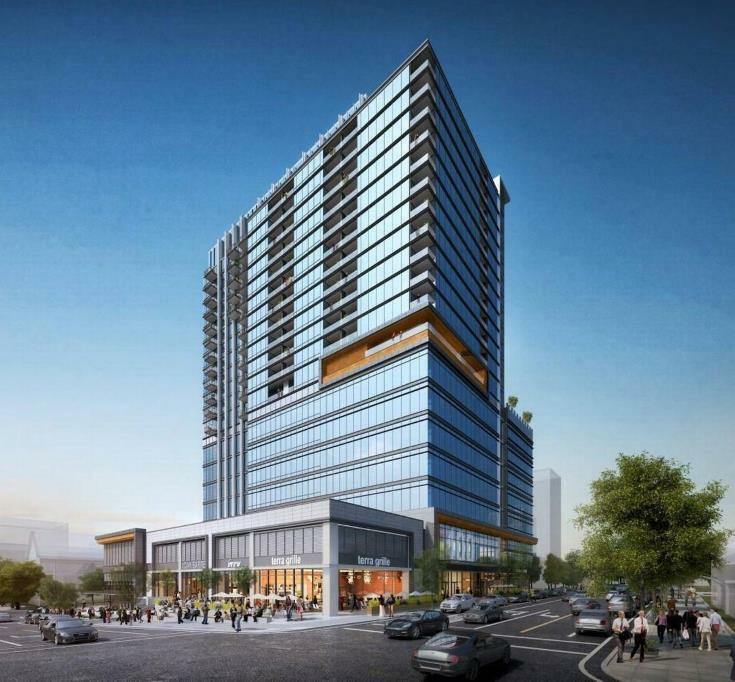 I think it’ll feel lively and offer great views towards the downtown core. Some warehouses nearby are also getting some renovation love. Father and Son’s newest location, the former Flanders Gallery, and the next-door neighbor have visible signs of upkeep. Union Station is set to open early this year and I think you’ll see a small uptick in visitors as people from all over will come down to check it out. I remember when Fayetteville Street first opened in 2007 and on the first Sunday night after opening (when everything was closed) the street was jammed with cars filled with curiosity. I think the same thing will happen this year. 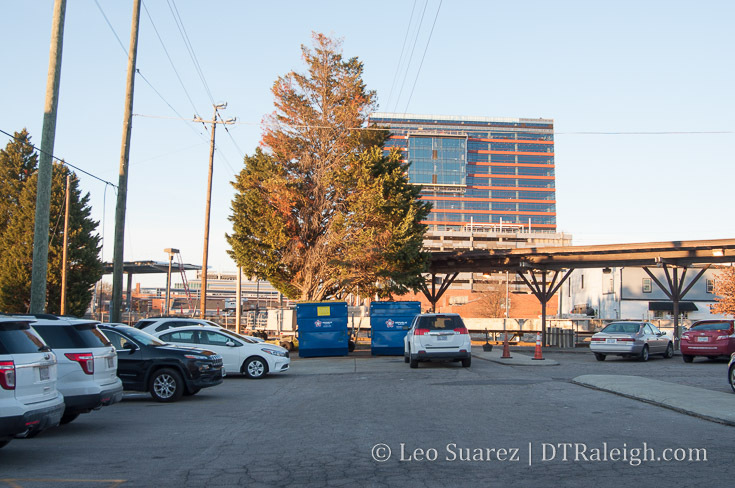 Looking at Raleigh Union Station from West Street. January 2018. Renovated warehouses along West Street. January 2018. 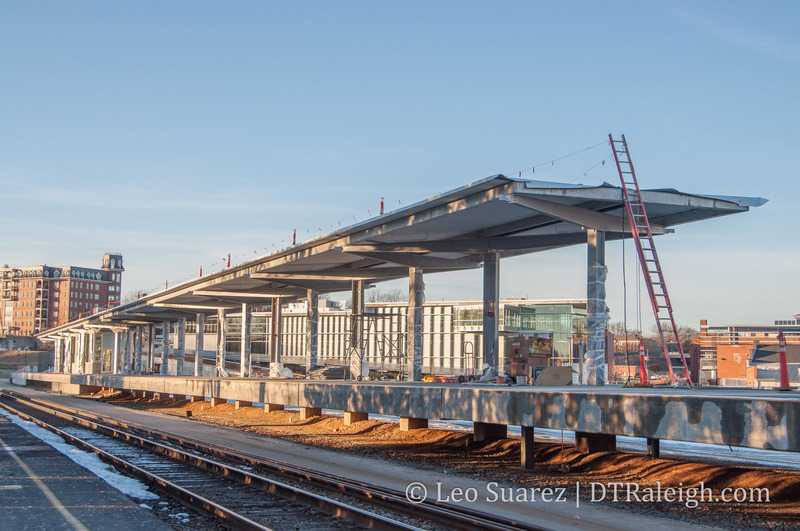 New train platform that will serve Raleigh Union Station. January 2018. At this point, West Street ends but my walk does not. The city is studying plans to make West Street tunnel beneath the train tracks and connect to itself at Cabarrus Street. The street currently goes below the tracks and turns into the Union Station parking lot so some of the work is already done. Looking at Raleigh Union Station and The Dillon over West Street. January 2018. Click for larger. Next to Raleigh Station, you can see how the grid is still aligned and the West Street tunnel would make the grid connect. 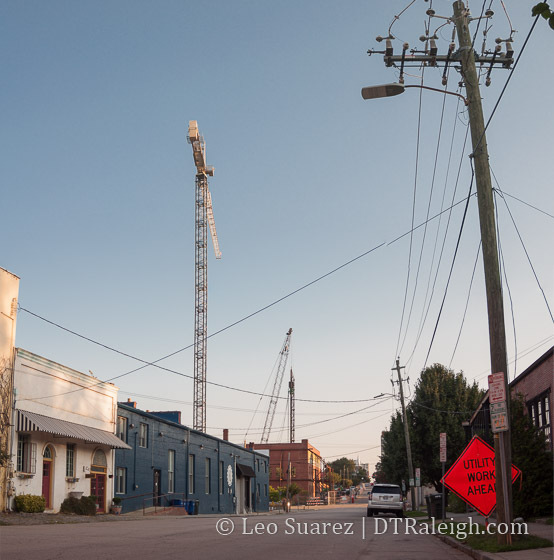 At Cabarrus, there is the old Raleigh Station, waiting to be demolished sometime this year. The future of this property is still up in the air as Amtrak services and offices will relocate into Union Station. 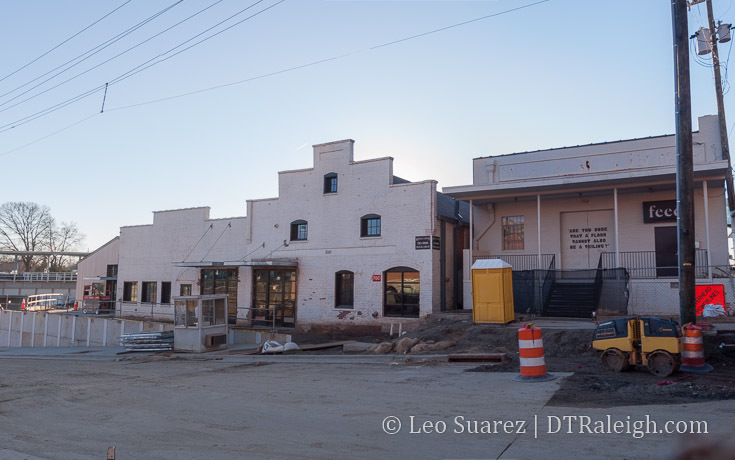 The 500 block of South West transitions us from the warehouse district into a more residential area. 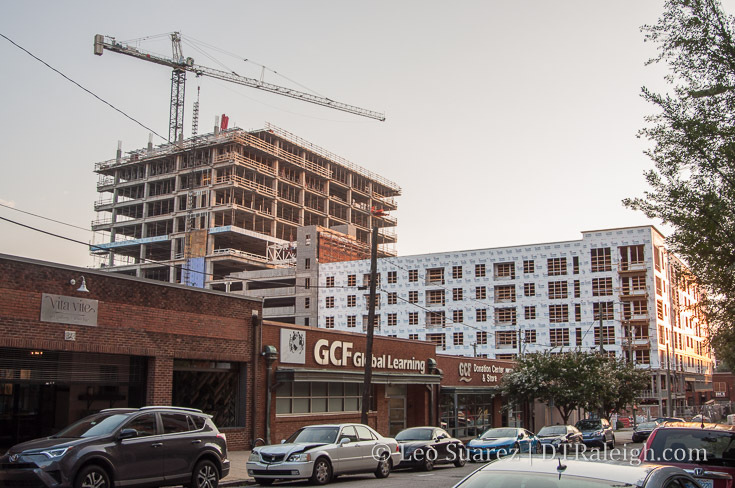 Condos are planned at the corner of West and Lenoir. 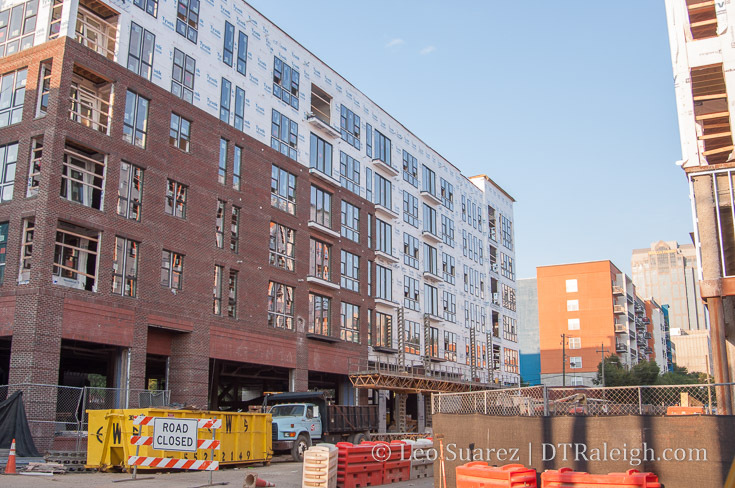 The Fairweather plans 45-units in a five-story, modern building. Construction hasn’t started just yet but the announcement of the project claims an early 2019 opening. Worth mentioning again, one Raleighite has an idea to save two houses on this block of West. When pitched at a city council meeting in December, the idea didn’t fly with some councilors due to the fact that he sits on the city’s planning commission. Old homes along West Street, planned for demolition. 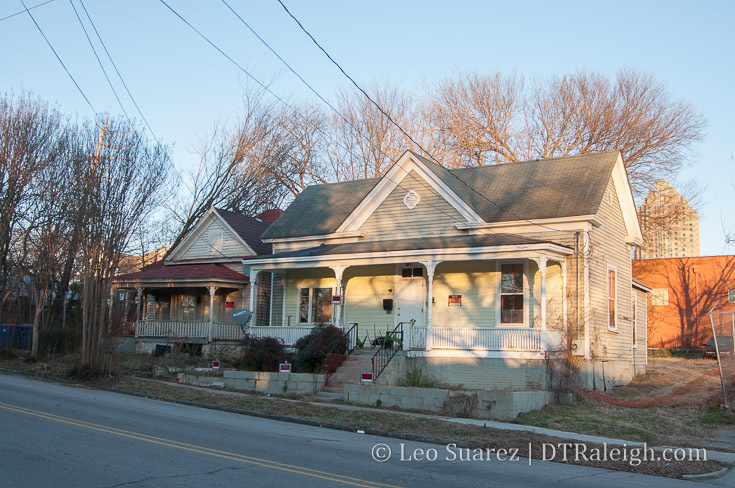 There is a risk of losing these homes that well represent Raleigh’s former Fourth Ward neighborhood, and in addition a plan to offer some affordable housing unless something happens in the near future. Jump back to the full story on this here. 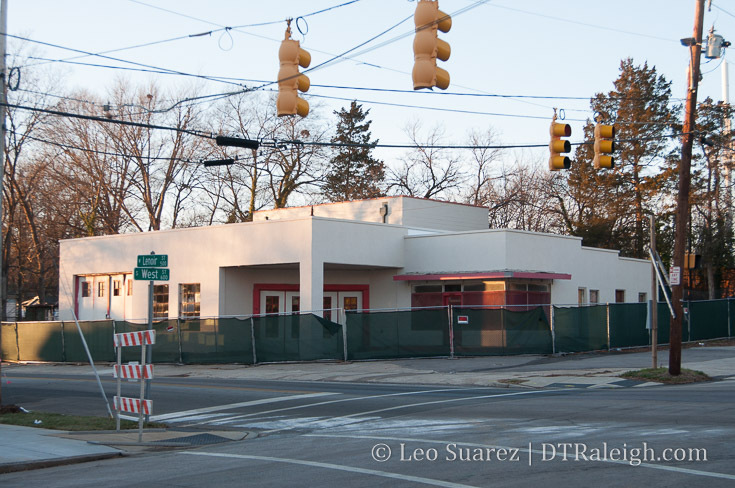 At the corner of West and Lenoir, across from the future Fairweather project, is an old gas station that is planned to be renovated for a restaurant. No work seems to be taking place on the exterior at the moment so perhaps it’s all inside work right now. 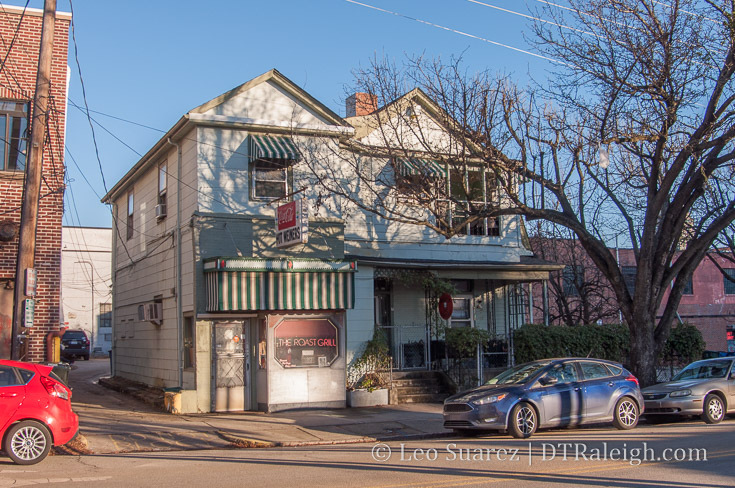 Service station with plans for a restaurant at the corner of Lenoir and West Streets. January 2018. 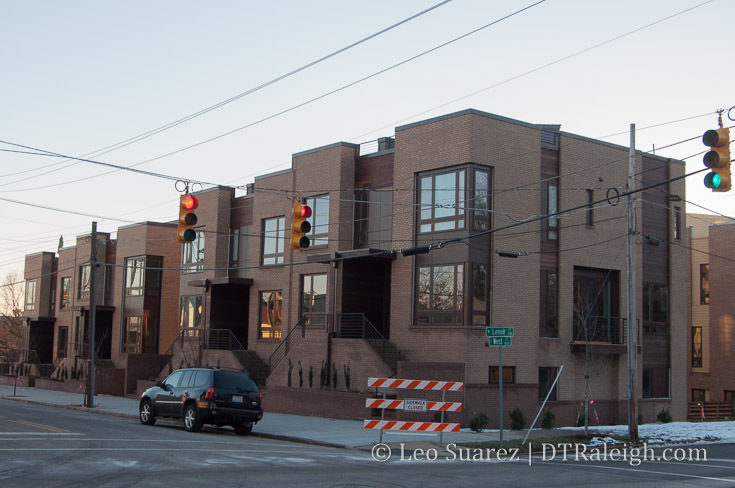 Along the 600 block of West, the townhomes called West + Lenoir are wrapping up. These are some of the earliest townhomes to be completed in this area as nearby Fourth Ward and 611 West South have not really begun yet. West + Lenoir townhomes. January 2018. West Street ends at South Street and so does our walk. Along South, more demolition and construction is taking place as the area turns over. The South Street Market was just recently demolished and the storage facility has recently topped out. Click here to view the map on Google. Now that we’re familiar with West Street, I’d like to zoom out a bit. Above is a map of South West Street with highlighted locations from this post. In my opinion, the momentum behind Dix Park and downtown Raleigh put the affordable housing units of Heritage Park in the crosshairs. I just can’t imagine the investment of over $10 million for a West Street tunnel, “bridging” just two blocks into downtown, is worth it if there was not some other driving force behind it. When you look at it on a map, there’s no denying the temptation to push West further south, maybe even trying to connect it to Lake Wheeler. That would be a great downtown connection to Dix Park. With current politics, pushing aside Heritage Park wouldn’t be popular. However, from a strictly planning point-of-view, it’s worth a look. I’m not advocating it. I do think there might be plans for a major road shakeup in this area in the next 3-5 years. The end of South West Street at South Street. January 2018. 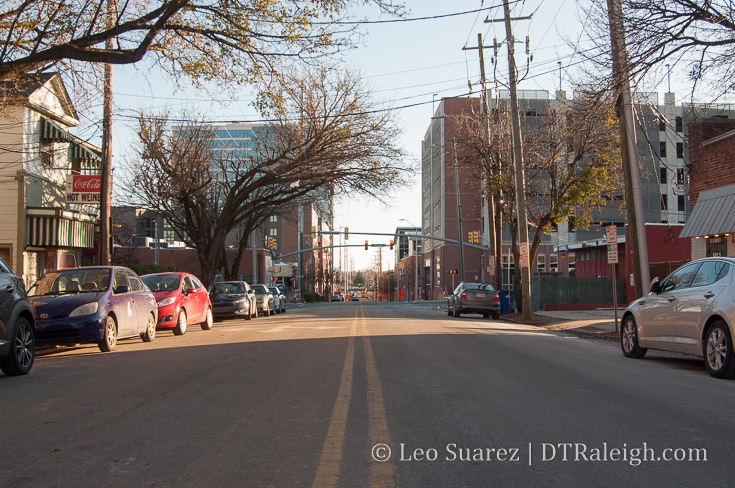 Either way, West Street will continue to grow and play an important role for downtown in the coming years. Corner of Martin and Harrington Streets, April 2017. 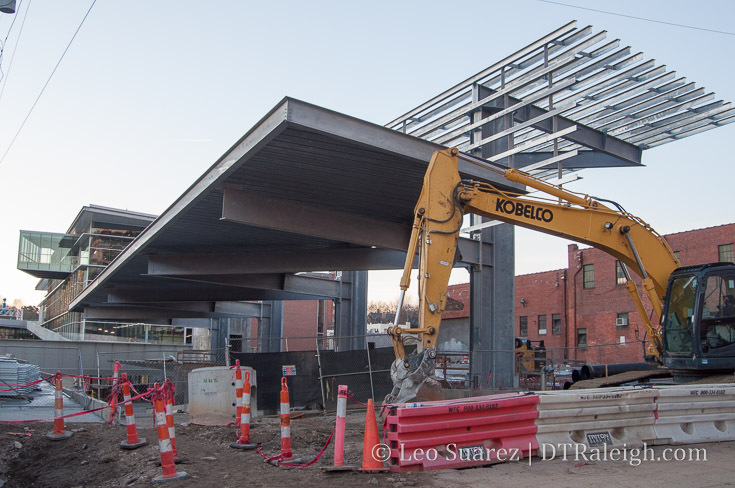 Complementing my post earlier in the week about Raleigh Union Station, I also got a feel for the area around The Dillon and snapped some photos of the current progress. 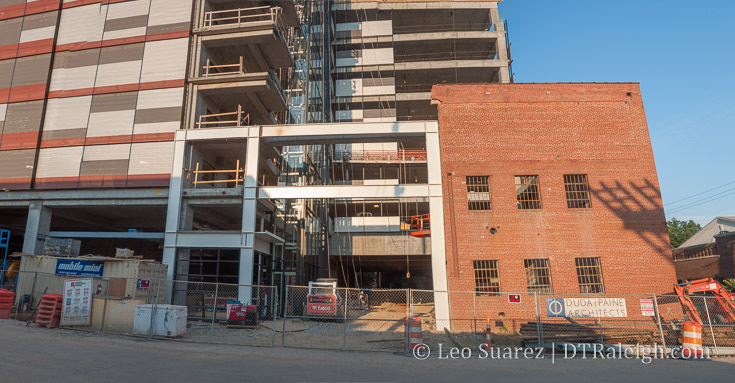 It’s going to be quite the “shot in the arm” for the warehouse district once both of these projects are up in running. 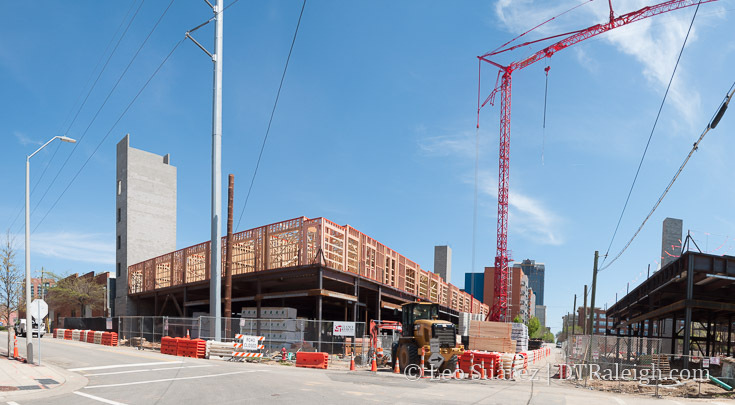 Starting at the southern end along Martin Street, the 17-story office tower and parking deck are rising up out of the former Dillon Supply warehouse. My guess would be that the parking deck construction is trying to coincide with the Union Station opening. Residential and office may come online later but again, just a guess as the city pushed hard for nearby parking options for the station. The old windows along Martin showing the new structure within. Corner of West and Martin Streets, April 2017. The greatest transformation may take place down Martin at West. 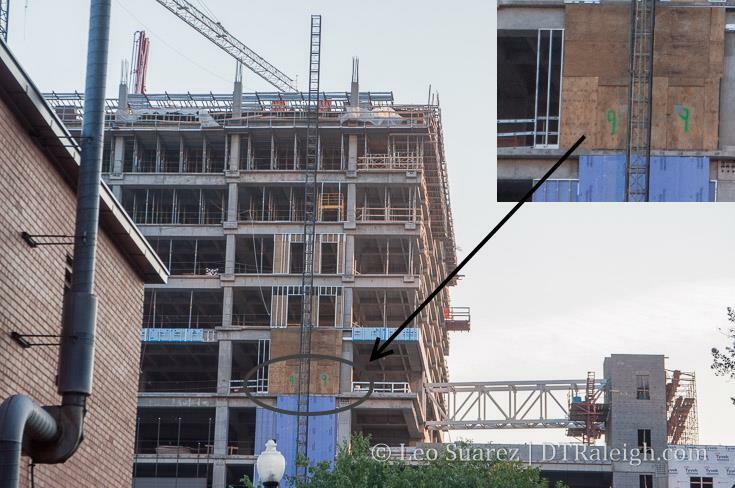 New development seems to be taking place at almost every corner. Seeing The Dillon on this side gives you a sense of how connected The Dillon and the station are to each other. The office tower here with ground-floor retail should create a sense of energy to those coming to or leaving the train station. You can see the city skyline in the short distance but feel that you are close with The Dillon across the street. I’d be interested to see if West and Martin will be getting proper crosswalks with street lights. The sidewalks should be completely redone so a once sleepy dead end may be drastically changed in the near future. 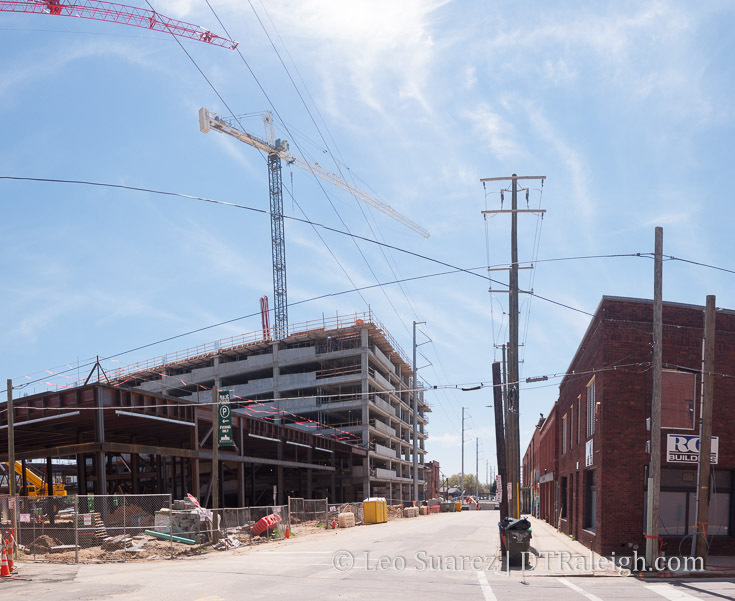 Staring south down West at Hargett Street, April 2017. 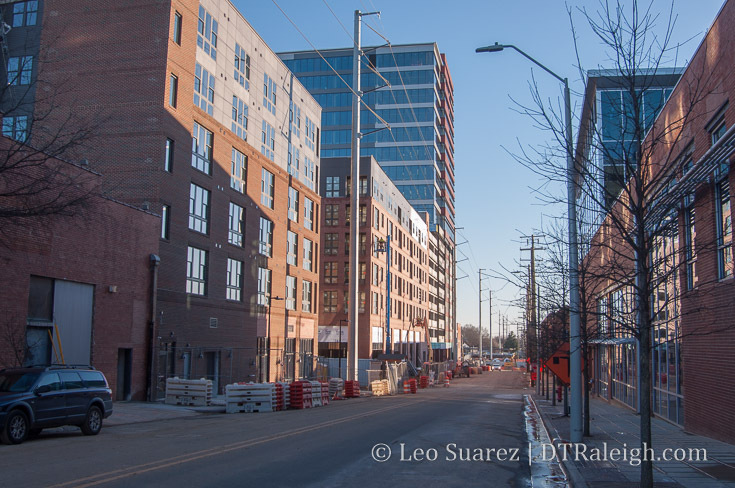 Around West and Hargett Streets, the residential portions of The Dillon are beginning to start. 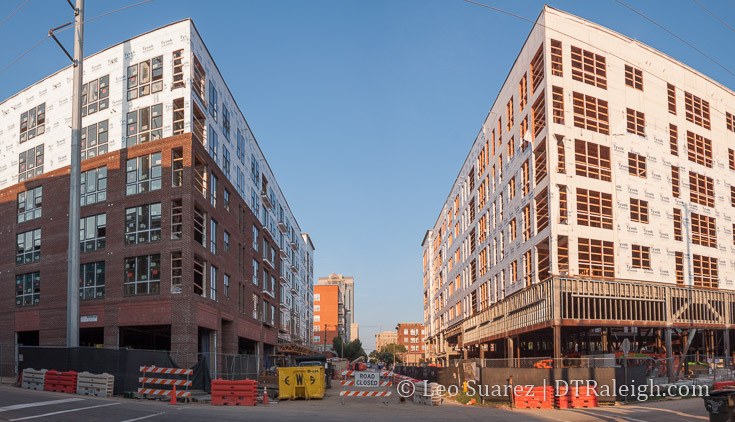 The main section south of Hargett has the bottom floor built up with the northern side showing wood-built apartments on the second floor. Hargett is blocked to traffic right now due to the construction but there is room to walk through. 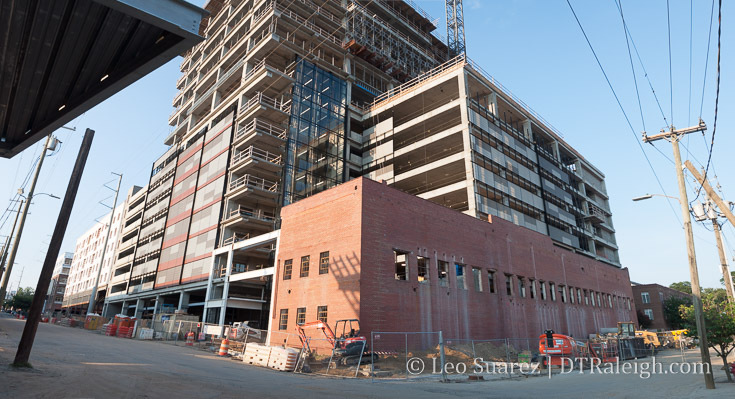 Seeing steel floors on both sides of Hargett where surface parking used to be is pretty exciting, I have to admit. Staring east down Hargett Street, April 2017. Staring west down Hargett Street, April 2017. 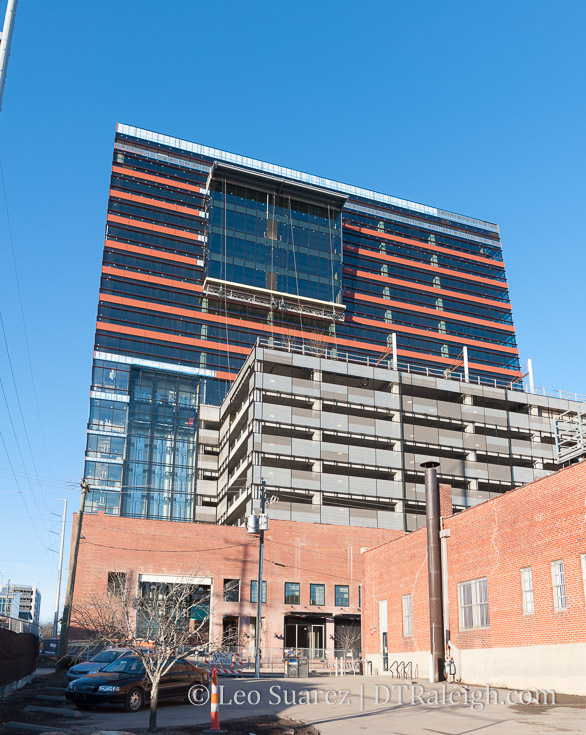 The Dillon is a project that will activate Hargett and Martin Streets. The concentration of retail along these corridors helps to support planning efforts within our current downtown plan. With these blocks active, this will pave the way to string more blocks together along Hargett and Martin. This is indeed a fun project to follow. 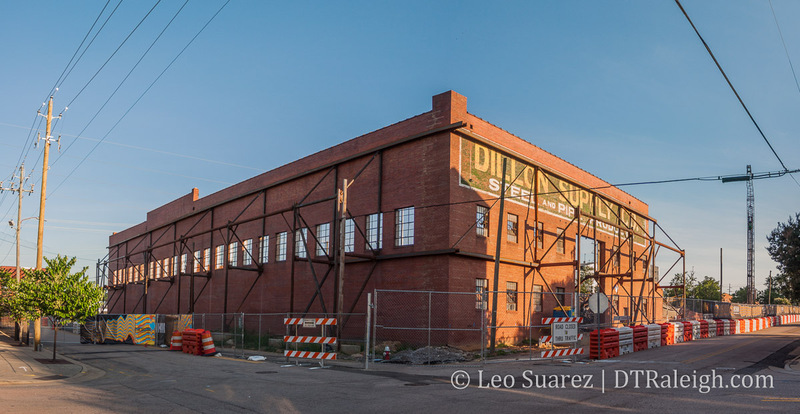 If you haven’t been by in awhile, there is a lot of activity taking place around The Dillon site. 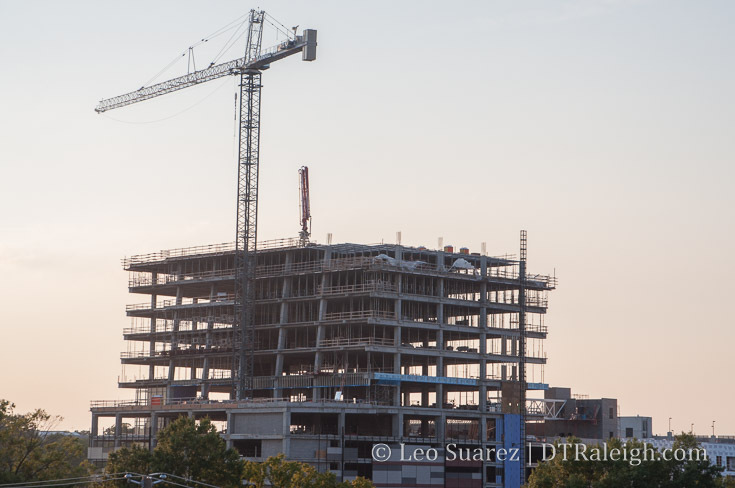 The parking deck is starting to rise up and both apartment buildings are in the beginning phases of their work. I’m referring to the ones on both sides of Hargett Street. Enjoy the VR view, taken on February 21 as I get back into my blog rhythm. 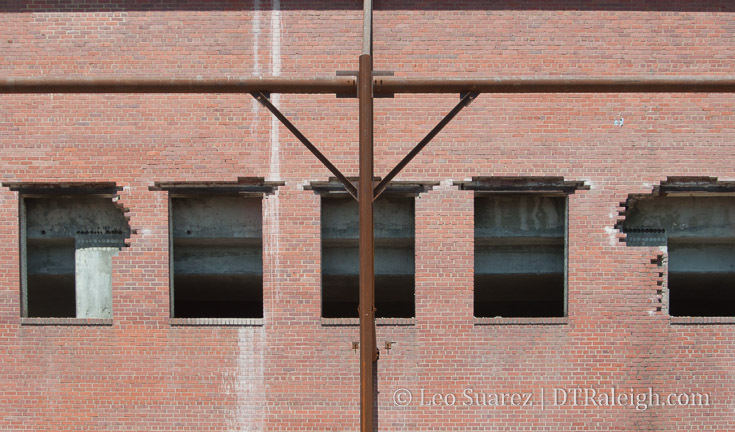 The Dillon Supply Company warehouse is mostly gone and the walls that are planned to be saved as part of the new development, The Dillon, have been braced up by steel supports.